A remarkable, in-depth study of the Great Famine in county Leitrim depicting the extent of the catastrophe at a local level. Extraordinary archival research yielded astounding information which reveals Leitrim’s particular experience of the Famine and the devastation that was wrought on the county by environmental conditions and British government policy. This shocking new history records the history of the Great Famine in County Leitrim with unprecedented depth, making use of records that haven’t previously been used in any previous study. The records reveal astounding details concerning the shape and longevity of the catastrophe. With this expansive coverage, MacAtasney seeks to reveal the extent to which both environmental conditions and the British authorities played a part in altering the life of County Leitrim forever – by way of death, disease and forced emigration. In 1841 the population of Leitrim was 155,000; ten years later it had declined by forty thousand. 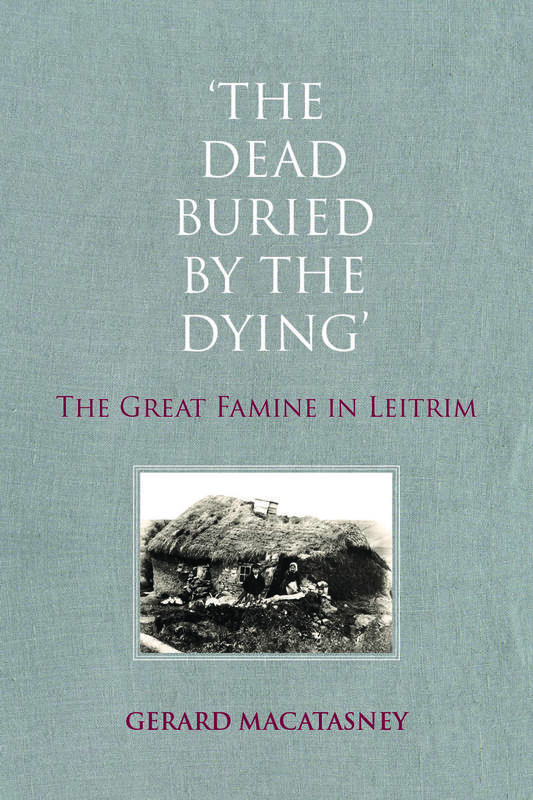 MacAtasney’s absorbing study gives substance to these figures with astonishing revelations concerning the character of the famine in Leitrim. These revelations are as comprehensive as they are compelling, given that MacAtasney’s findings are contained within the most detailed account of the famine at a local level yet to be written. Gerard MacAtasney lives in Belfast and is the author of Tom Clarke: Life, Liberty, Revolution (Merrion 2012), The Other Famine: The 1822 Crisis in County Leitrim (2010), The Hidden Famine: Poverty, Hunger and Sectarianism in Belfast (with Christine Kinealy, 2000) Leitrim and the Croppies (1998), and contributed to The Atlas of the Great Irish Famine (2012).